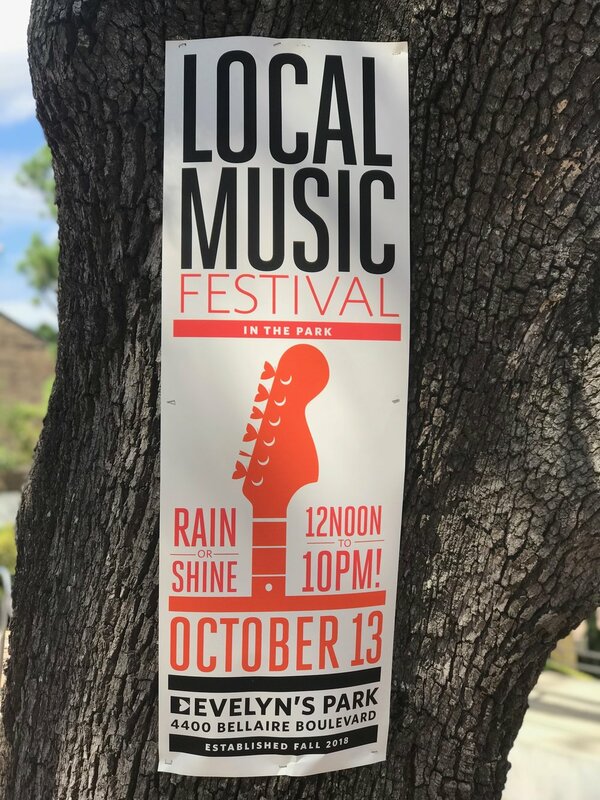 Rigsby Hull was delighted to design the identity for an event dear to our hearts: the first-ever Local Music Festival in the Park. 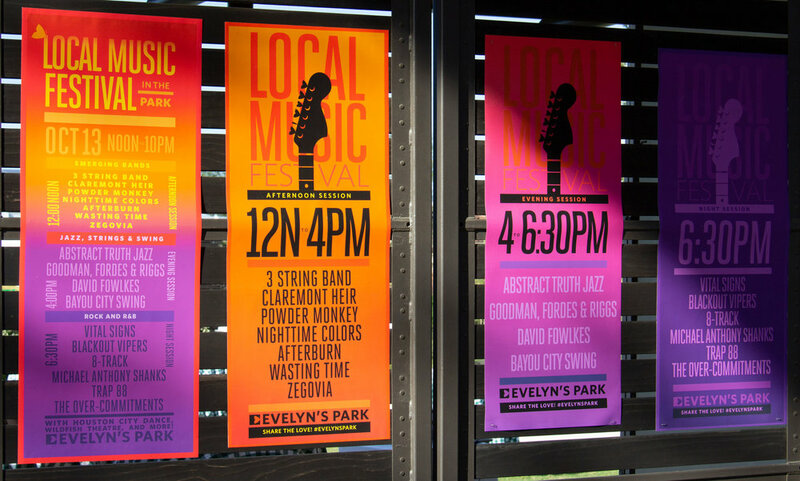 This all-day musicfest featured 120+ artists performing live in Houston’s coolest new gathering spot, Evelyn’s Park. 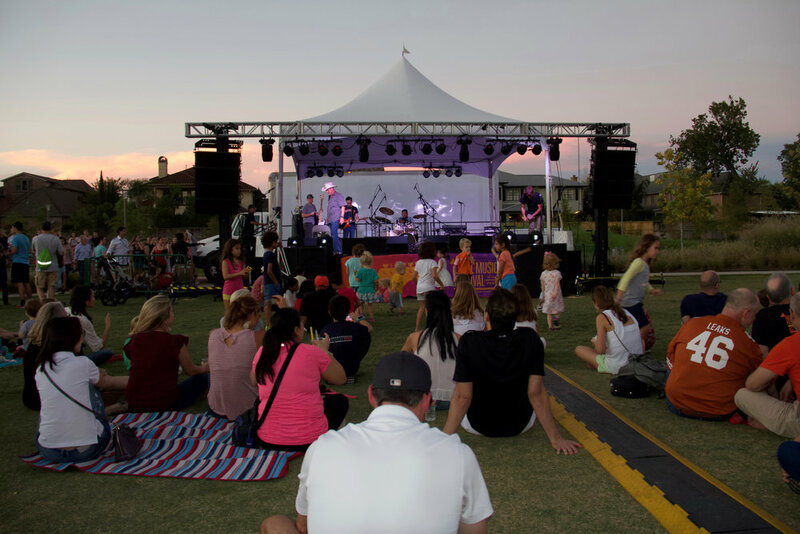 The event's signature image plays on the Park’s iconic butterfly logo, designed by the talented folks at Principle.